Credit is one of the more mysterious forces that govern our financial lives. Unless you can somehow cobble together thousands of dollars in cash to pay for a vehicle all at once, your credit is going to be a factor. That phrase can be paralyzing. Some people keep track of their credit score meticulously and others have no idea what their score is. Keeping up with your credit score is not the easiest thing in the world and can be confusing. Here are some questions you might have about your credit and financing. There are three major credit reporting companies, Equifax, Experian, and TransUnion. Thanks to the Fair Credit Reporting Act everyone is entitled to a free credit report once per year. The Federal Trade Commission website has information you need to keep started. There are lots of places to get a credit score, but annualcreditreport.com is the only one fully authorized by the FTC to give free reports. There are services you can opt into that sometimes require a payment or subscription, and might be worth the cost if you want to keep a very close eye on your score. Your credit score number doesn’t tell the entire story. There isn’t usually a minimum score required to have approved credit, but it is a good indicator of how lenders will view you and your ability to make consistent payments. Do I qualify for low rate or low down payment options? 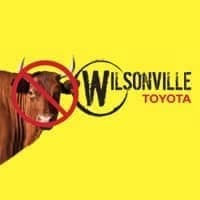 The primary lender Wilsonville Toyota works with is Toyota Financial Services (TFS), and most advertised promotions work through TFS. You can check to see if you are pre-approved with our finance pre-approval page that only takes a few minutes to fill out. If you pre-qualify you should be good to go when you come into the dealership. If you’re not pre-approved that isn’t the end of the story, you might qualify during the real application process, you never really know until you try. Can I finance even with bad credit? Yes, even if you don’t qualify with TFS, Wilsonville Toyota is happy to work with anyone with a challenging credit situation. TFS isn’t our only lender; we have plenty of partners to assist with the financing process. Our customer advocates work with you throughout the whole process to get the best deal possible for you and your needs, and we won’t pressure you into accepting terms you’re uncomfortable with just to make a sale. The biggest factor that determines your monthly payment (aside from the price of the vehicle) is the length of the loan. The longer the loan terms are, the longer it goes the lower your payments will be. Going from a 60-month (5 year) loan to an 84-month (7 year) loan can lower your monthly payments by nearly $100, which sounds great. However, the longer you finance a vehicle for, the more the total cost increases becomes because you’re paying more in interest. It is important to consider all factors, not just monthly payments when looking to buy. Wilsonville Toyota’s customer advocates will go over all the financing options with you and answer any questions you might have. If resale value is a big factor in your decision a longer term loan might not be the best option because having a remaining loan balance makes it more difficult to sell. If you’re planning to keep the vehicle forever or pass it down to someone later on then it could be the way to go, it is all about you and your needs. My credit is bad, can I fix it? Yes, there are many ways to improve a bad credit situation. Your credit score is, fair or unfair, a rating of your financial trustworthiness. To work toward fixing a low credit score, you have to show that you can be lent money and that it can be paid back. An auto loan is can to be a good way to build credit from scratch, or build it back up. Since auto loans have smaller amounts and shorter terms than a mortgage or a student loan and have lower interest rates than most credit cards they can be a good, safe way to show you can make regular, consistent payments. If your credit situation is so tough that you difficulty qualifying, if there’s someone you know, like a parent or family member who has good credit they can co-sign a loan with you to help you qualify. Make sure this is someone you trust and trusts you, don’t go into it lightly. If you fail to make the payments your co-signer is liable and will negatively affect both of your credit scores. Fixing a credit score takes time but with smart choices and due diligence it can be done. There are countless resources available online, but be careful. Typing “fix my credit” into Google brings up 97 million results and scams are everywhere so use caution. FTC.gov is a great place to start exploring your options.